Australia - prepare yourself for the largest expo and multi sports festival the world has ever seen! The Arnold Sports Festival has taken the world by storm, and is now an annual event on every continent* around the world. Australia is no exception, with three days jam packed full of entertainment and the chance for the entire family to participate in a dizzying array of fun and healthy activities. You can also see, taste and try the latest and greatest trends, apparel and products from the largest collection of exhibitors ever from the health, fitness and supplement industries assembled under one roof! If that’s not enough, why not check out some of the best pro and amateur athletes in the world going head to head in a huge collection of sports ranging from bodybuilding, powerlifting, strongman, martial arts, to MMA, kettle bell sports, pole fitness, futsal and much much more ! Remember - entry for kids under 15 years of age is free and they’ll have the opportunity to come and try all manner of sports and activities in our dedicated Arnold Kid's and Teen Zone! 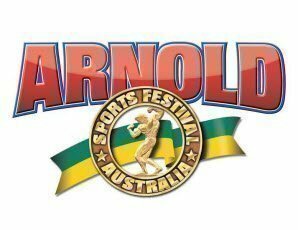 Arnold himself will make his way through the expo, visiting sports, sponsor booths and special events across the weekend! Don't miss your opportunity to see him in the flesh. He’s looking forward to seeing you all there!!! *Note: The Arnold Sports Festival is held on every continent with the exception of Antarctica - for now, but who knows !? Here is a preview of what you'll see. - ^Concession Prices apply to current Concession Card holders (Pensioner/Seniors/Student/Unemployed) and Youths aged 15-17yrs. Concession cards will be required to be shown at Entry. - Expo Entry for Children Under 15 years old is free, but children must be accompanied by a responsible adult at all times.